Hello my sweets! How are you? I've been pretty overwhelmed at work this past week, there's been a couple people out of the office so I'm doing a few more jobs than usual. So I'm pretty glad it's Friday! 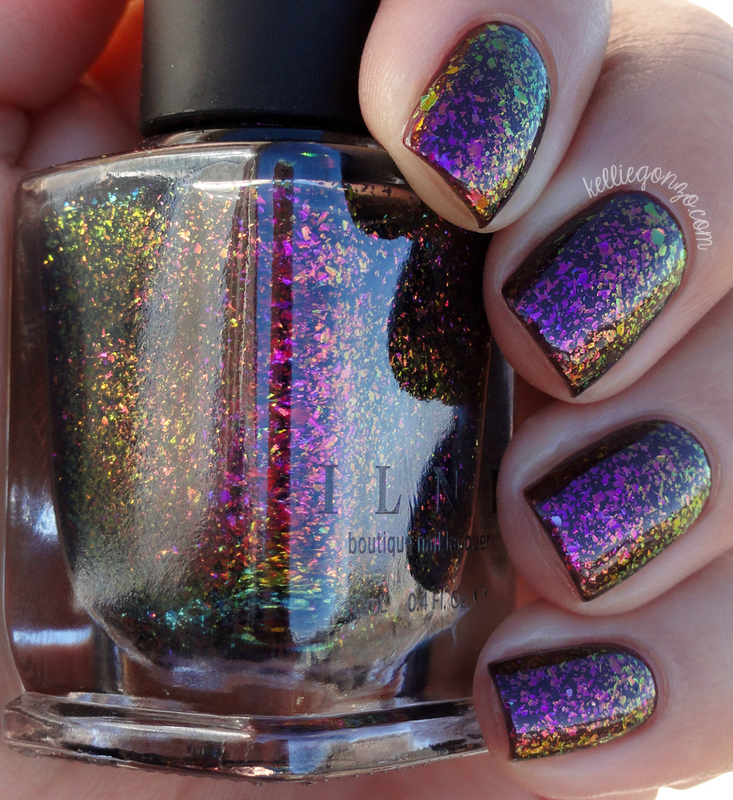 Today I wanted to show you a fabulous polish, another ultra chrome flakie from the boutique nail polish brand ILNP (I Love Nail Polish). I showed you one of them a few posts ago, I really loved it. This is the only other one from the collection that I picked up, but I might be going back for more! This is Neon Rosebud, a metallic multichrome flake polish in a clear base. It shifts between bright purpley fuchsia to pink to green to gold. I layered one coat over BB Couture The Huntsman, an oxblood purpley shimmer. In direct bright light it looks mostly chromey purple with hints of the other colors around the edges. The flakes really liven up and shift more in lower lights, the shade photo shows the goldy green edges nicely. It really is like a rosebud, with the purpley pinky petals and green leaves around the outside, aww. Here is an indirect bright light shot, which only halfway shows its true brilliance. 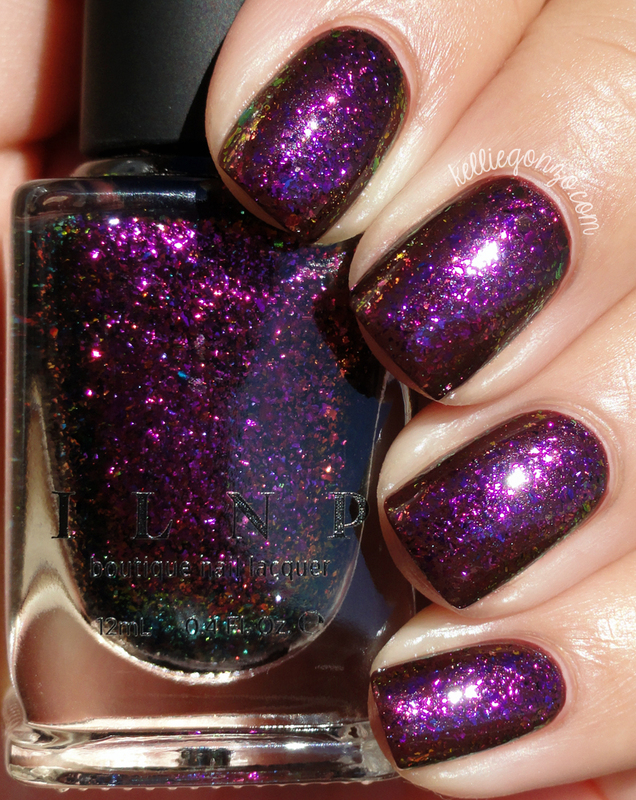 These polishes just really have to be seen with in person for you to understand their full fabulosity. It just glows and shifts and glistens and WOW! I picked this up from the ILNP website for $12.50. There are thirteen flakie polishes in this collection so there are lots of color combinations to choose from. 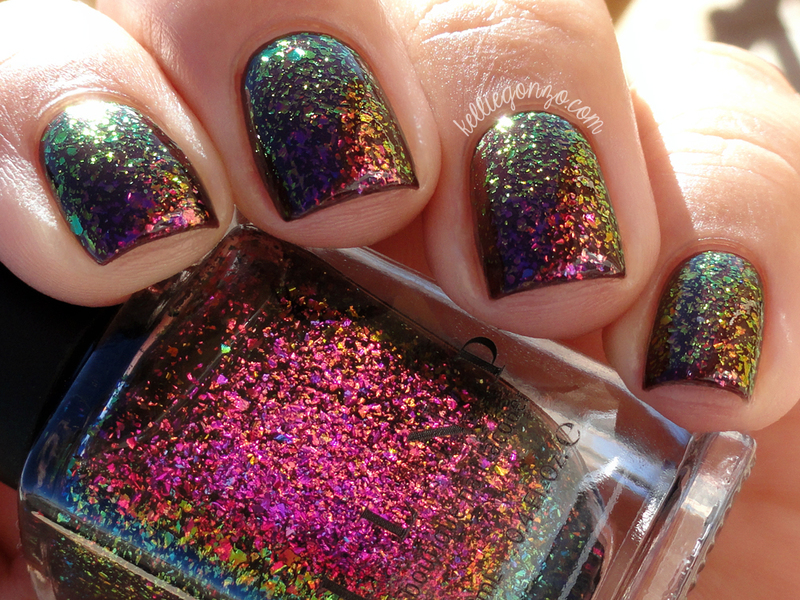 Have you picked up any of the metallic multichrome flakies that have come out, from ILNP or any other brand? If not, what are you waiting for?! Hahaha, seriously, this is a trend I can get behind.